Born at Balderson, Ontario on 28 June 1859, son of Hugh and Janet McIntyre, brother of J. F. McIntyre, D. L. McIntyre, and P. C. McIntyre, nephew of Archibald McNee, brother-in-law of C. D. Stovel, he was educated at Perth High School and the University of Manitoba. 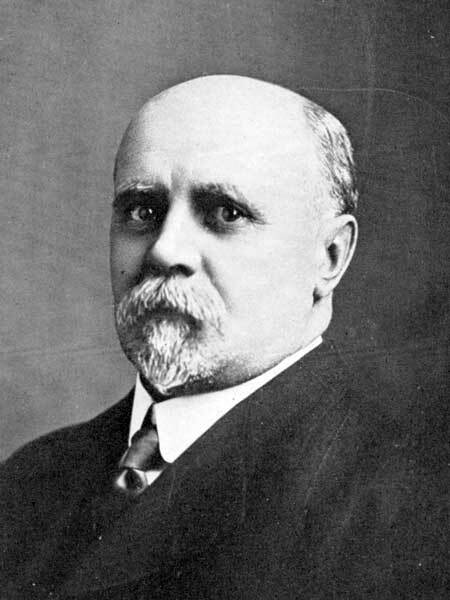 In 1880, he became Principal of the Boys’ Central School of Winnipeg and, two years later, was appointed mathematics master at the first Winnipeg Collegiate. He joined the Provincial Normal School in 1888 and become its Principal in August 1893. He served on a commission to reorganize the University of Manitoba, and was President of the Manitoba Educational Association (1915-1916). He was an editor of the “New Victorian” school readers in 1908. He retired in July 1933. On 12 July 1898, he married Florence Sarah Hilton (1874-?) of Winnipeg. They had five children: Evelyn Dorothy McIntyre (b 1899), Lilian McIntyre (b 1903), Kenneth McIntyre (b 1907), John McIntyre (b 1909), and Henry H. McIntyre (b 1911). He died at Winnipeg on 13 December 1937.